Yellow Tea is Lush, Elusive and Totally Smothered! 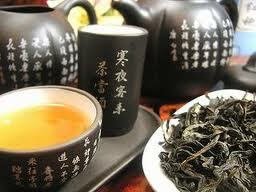 Yellow tea is a class of tea that is little-known outside of Asia, and not even produced very widely there. Most Westerners have never tasted yellow tea and a good many have never heard of it. Even some tea experts outside of Asia are not familiar with yellow tea. It’s often mistaken, perhaps even misrepresented in western markets as a green tea, but it is not green tea. Yellow tea is described as lush, soft, clean, fresh, and sweet, and it is certainly worthy of a class of its own. Yellow tea has its own sent of processing steps that start out like those involved in the production of green tea, particularly that of early spring tea, but yellow tea ends up with a processing step that is uniquely its own. 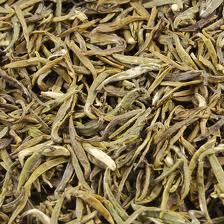 The unique production of yellow tea gives it a character and quality that is quite different from green tea. While green tea tends to be grassy and astringent in taste and typically dark gray to dark green in color, yellow tea has none of the astringency or assertiveness of green tea and it is yellow to light green in color. Yellow tea is a limited production tea, and that could largely be due to the extensive processing that is required to create it. Tea makers go through the same first steps in production when making yellow tea as they do with any of the other classes of tea (the other 5 classes being green, oolong, white, black, and pu’erh). The first steps include plucking, sorting and cleaning, and primary drying or withering. A mao feng method is used, which is the plucking of a budset with the first two leaves intact. After the primary drying of the leaves and buds, as with the rest of the classes of tea, the manufacturing of yellow tea steps into a style of processing that makes it quite different from the rest of the classes. While green tea, for example, will go from primary drying to a finishing fire, yellow tea goes from primary drying to a step called men huan or “sealing yellow”. In this process, the yellow tea is gently and slowly steamed while covered with a cloth. The cloth allows the tea to “breathe” in its own aromatic air. Some have referred to this process as “smothering”. Performing this “moisture control” step changes the chemistry of the tea buds and/or leaves and smothers the astringent flavor properties, for which green tea is known, creating a medium-bodied, clean, fresh, soft tea with yellow to pale green hues. The men huan process can take anywhere from several hours to several days, depending upon the desired results of the tea maker. The people of China think of yellow tea as a “mature tea” due to the mellowing that results from the resting period during men huan. Reportedly, yellow tea has been around since the Han Dynasty of circa 53 BC, and of course there is a tea legend that goes with it. As the legend goes, a man named Wu LiZhen planted seven tea bushes near a stream on the historically famous Mengding Mountain located in the Sichuan Province’s Mingshang County. (The reason Mengding Mountain is so famous is that it is the birthplace of the cultivation of tea.) The stream was said to be very sweet-smelling and would flow eternally. When Wu LiZhen died, the tea made from the leaves of the seven bushes that he’d planted was named Xian Cha, which translates to “Tea of the Immortals”. But the story doesn’t end there. During the Song Dynasty that ran from 960 to 1279, yellow tea became a tribute tea – a tea made specifically for Chinese Emperors. The yellow tribute tea was made for Song Dynasty Emperor Xiaozong, who subsequently (and post-humusly, I might add) gave Wu LiZhen the title, “Master of Sweet Dew”. Today in China, yellow tea is often referred to as gan lu or “sweet dew” after the name given to Wu LiZhen. Yellow tea is produced less often than white tea. So, yes, it is scarce. Still there is some available, and while you might not be able to easily find it at your favorite brick and mortar tea shop – although you could check with your local tea shop – the best bet is too look for it online. Snow Shoot – from the Qing Cheng Mountains, one of China’s most important Taoist mountains in the Sichuan Province. 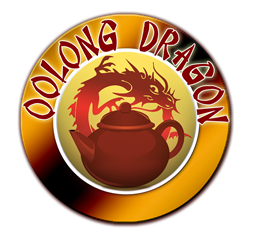 There are several great online tea stores to choose from, and if you don’t see a yellow tea listed in their product catalogue, contact the tea seller for help – if they are a good tea seller, they will have at least heard of it!